Blog: Wouldn’t it be cool if…? Danish business leaders joined DI on a tech inspiration trip to Silicon Valley. 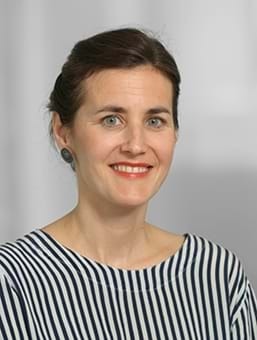 Head of Management Development and Productivity at the Confederation of Danish Industry Kinga Szabo Christensen went along and blogs about what characterises American innovation centres – and offers advice for Danish companies. The Confederation of Danish Industry (DI) has just returned from its tenth innovation trip to the United States. The trip brought together a unique, innovative community consisting of 20 business leaders from DI’s member companies with the aim of honing in on technological developments and new trends and perhaps even finding future partners. On the trip participants learned how to make more informed choices by identifying which technologies are relevant for their business strategy right now and gathered inspiration from the many innovative environments they visited. Leaders at Danish firms must constantly stay on top of the technological possibilities that exist and arise around them. And that is precisely why the participants on DI’s US innovation trip made visits to 15 different innovative businesses, innovation centres and universities in Silicon Valley and Boston in the course of five intense days. On the trip, participants visited Watson (IBM), Cisco, Apple, Stanford University, Massachusetts Institute of Technology (MIT), Center for MIT Entrepreneurship, IBM Cloud Garage, b8ta, Tulip, Cambridge Innovation Center, Humatics, PTC, MathWorks, Desktop Metal and former Senior Designer at IDEO, John Stoddard. If a business is to be innovative and adopt the newest technologies, it is necessary for leaders to establish a culture that allows for the agility that innovation requires and which promotes continuous awareness of developments outside the company’s own four walls. There is no doubt that the innovative culture in Silicon Valley is unique. But how can you identify its defining characteristics and integrate elements of it into your own business? Participants had the chance to experience this unique culture up close, and there are three elements in particular that characterise the Silicon Valley culture and which Danish businesses can draw inspiration from. Entrepreneurs and businesses in Silicon Valley are hugely ambitious in terms of business goals, and it is apparent that they strive to be the very best in their respective fields so as to radically change the market. In order to succeed in this, it is important to have a vision for the future of their clients that stands out. This vision ensures that they constantly move beyond the expected to generate a wow-effect. Finally, people in Silicon Valley are generally very aware and impatient, and in Silicon Valley this means trying out ideas early on in the process in order to quickly see results or scrap the idea. In that way, they can quickly move on in a new direction to reach their goals. Be ambitious about your business goals now and in the future. Ask yourselves: Wouldn’t it be cool if…? Have an extraordinary vision and experiment with a vision that exceeds expectations. Fail fast - test your ideas as early on in the process as possible to avoid wasting resources and achieve goals more efficiently. Interested in joining us next time? DI’s US innovation trip 2019 is already open for registration. To find out more about next year’s trip and/or register, contact Senior Advisor at DI Nicolas Boalth at email: nibo@di.dk or telephone: 2128 7379.